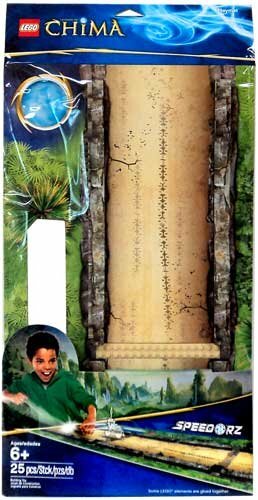 Speed through enemy-tribe territory on the LEGO Legends of Chima Playmat! 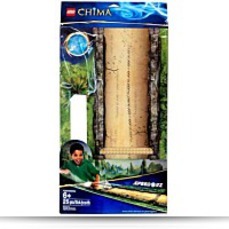 Makes a great gift for fans within the LEGO Legends of Chima building sets! Features a narrow laminated cardboard playmat with foam barriers and 2 buildable ramps Includes building instructions for ramps Build, play and battle your pals! Measures over 2"(4cm) high and 10"(26cm) wide. With a cool background design on a narrow laminated cardboard mat runway, youll be ready to build, play and challenge your pals towards the ultimate Speedorz tournament! Foam barriers keep your Speedorz on track while you use the 2 buildable ramps for mid-air battle action.